The Department of Natural Resources hopes to expand forest-management efforts to prevent more devastating wildfires. In recent years, attempts to put a price on carbon pollution in Washington state, largely spearheaded by Gov. Jay Inslee's office, have not met with a great deal of success. Inslee's 2015 cap-and-trade proposal stalled in the House and never got a hearing in the mostly Republican-controlled Senate. In 2016, a similar voter initiative would have "swapped in" carbon pricing while lowering sales tax, with an eye on minimizing impacts on low-income residents who would be hit hardest by higher gas and utility prices. Without backing from environmental groups, the measure failed. By 2017, the state Department of Ecology had set a Clean Air Rule requiring the largest greenhouse gas emitters to reduce their pollution over a long-term schedule or buy credit for reductions made by others. But in December a Thurston County judge held that, short of legislative changes, Ecology couldn't enforce a significant portion of the rule. Inslee has again announced a carbon-pricing proposal, and in the meantime, Commissioner of Public Lands Hilary Franz is urging other immediate actions to prepare the state for climate changes already starting. Franz, who oversees the Department of Natural Resources and the management of about 6 million acres of publicly owned land, is focused mostly on keeping forest, agricultural and aquatic lands working and healthy. "I have a legal and moral duty to protect the health of public lands and also strengthen our communities who depend on them, not just for today but also for the generations to come," Franz says. "I believe we have a huge responsibility to not just reduce our impacts and contributions to carbon pollution, but also ensure that we are setting up our lands and waters to be more resilient in the face of impacts." In a letter to legislators, Franz outlined resilience principles her agency believes are key to climate-related policy changes, emphasizing resource protection while minimizing impacts on residents, businesses and farms. "I want to make sure they're looking at it from the perspective I have, as well as many of the rural communities in Eastern and Central Washington," Franz says. Preparation includes treating forests to make them less susceptible to wildfires like those in 2014 and 2015, which were the worst seasons in recent memory and cost the state $500 million, Franz says. 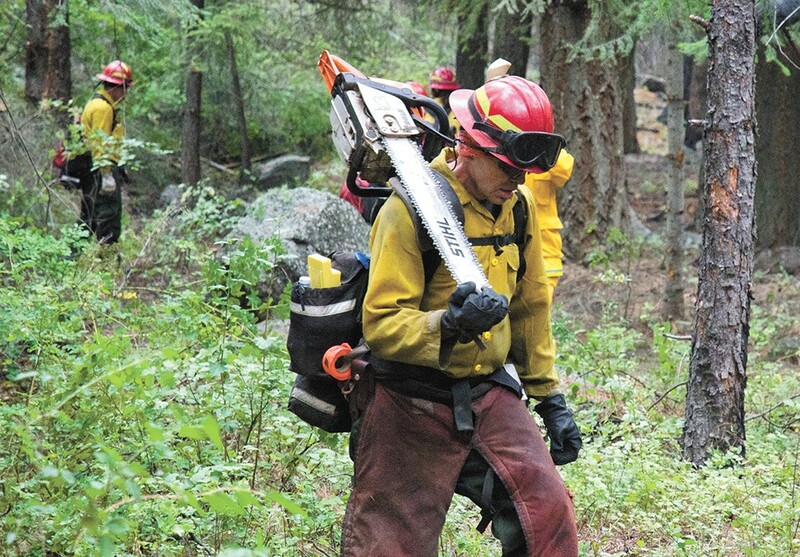 To keep Eastern Washington forests healthy, DNR hopes to treat 70,000 acres of forest per year at a cost of about $70 million annually. Franz also says the state should accelerate carbon sequestration, in part by keeping forests and agricultural land protected from development, drought and heavy rainfall events that can cause landslides. Many solutions may have multiple benefits, such as adjusting state timber harvests to a longer time scale to improve soils, sequester more carbon and continue producing lumber and income for the state. "I do believe that people recognize the value of making this kind of investment today," Franz says. "Finding the resources will actually reduce the overall cost of what our state is spending just to reduce the impacts we're already seeing with climate change." This year's carbon-pricing plan is substantially different from previous efforts, as it attempts to partner with the private sector, explains Sen. Reuven Carlyle, D-Seattle, sponsor of the legislation and new chair of the Senate Energy, Environment and Technology committee since Democrats took control of the chamber in November. "This is not a top-down program from government in Olympia," Carlyle says. "This is a way to give our local utilities statewide, both investor-owned like Puget Sound Energy and Avista, as well as our public utility districts, a real sense of authority and ownership in reducing CO2 emissions in a way that meets our local needs." As proposed, Inslee's plan would raise an estimated $1.5 billion in the first biennium. Half of that would support projects that reduce greenhouse gas emissions, with the rest split between water and natural resource protection, and help for low-income residents and workers whose jobs may change or go away as the state shifts away from fossil fuels. One of the most promising things that makes this proposal different is it would allow utilities to invest 100 percent of the tax charged to them right back into their own systems to increase their renewable portfolios and help low-income customers with energy efficiency, says Dennis Vermillion, Avista Utilities president. "It would be an economic benefit to our communities that we serve, and a job creator," he says, "and we have significant control over what that would look like under how the bill currently looks." Avista isn't officially supporting or opposing the proposal this early in the process, but the utility has been encouraged up to this point in working with the governor's office, he says. One concern is over the tax rate, which Avista hopes to see lowered from the current starting point of $20 per metric ton of emissions, as any tax would be reflected as a higher cost on customer bills, Vermillion says. The original print version of this article was headlined "Preparing for Impact"